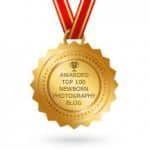 Can I have my newborn baby photographed after 2 weeks old? The answer is absolutely! We have photographed newborn as old as 8 weeks, and they have slept through their session. We have had great success at creating timeless images of older newborns. Although, we don’t recommend waiting until your baby is that much older. Newborns older than 2 weeks old are not as curly in some poses, but yet they are still very new to capture. If you’ve had your baby, and are looking through our website, please don’t hesitate to contact us. There seem to be a lot of photographers that say they “specialize” in newborns? Should I just look for one with the best rate? Price is always at the forefront of any consumers mind, but you have to remember the old saying, “You get what you pay for”. Going with the least expensive photographer is not a good way to determine who will take your baby’s portraits. Most often, the least expensive photographer is also the least experienced photographer. Remember this photographer will be handling your tiny newborn, posing and soothing your baby. It’s not just about taking the pictures, it’s making sure you are working with someone who A) knows how to appropriately handle your newborn in general, B) considers the safety of your baby first, and C) will provide you with beautiful final product. What should I look for in a Newborn photographer? The most important thing is to look through their portfolio for certain criteria. 3. The baby should look comfortable, relaxed and peaceful in the images. As in all portraits, the facial expression is very important. (Newborns are so flexible and can be put into all kinds of amazing position in their first couple of weeks of life. A skilled photographer will be able to pose baby tucked with their feet up by their chin (taco pose) accompanied with a content sleepy, even sometimes smiling face. How long have you been photographing newborns? You can go to any of the studios in the mall and get pictures taken. It will feel rushed and stressed and more than likely, the end product won’t really reflect the true personality of your family. Lifestyle Photography is completely different, while we can create studio type portraits and have a portable studio, we want to capture your family in their true environment doing what they do best, being unique! Sessions take place at the location of your choice. This can be in the studio, at a local outdoor location, outside in your back yard; the opportunities are endless as long as there is lots of natural light. We recommend the session is scheduled in the morning or late afternoon when natural light is the best. Your session will be very laid back, fun and stress free. How can I prepare for your arrival for a session at my home? To prepare, please make sure your home is free of clutter and all of the blinds/curtains are open. The first thing we when we arrive, is observe all of the rooms searching out the best natural light, or rooms we can bounce the flash from. We will use both inside and outside locations around and near your home. Some furniture may be moved around to make the room as distraction free as possible. Make sure you put together all of the outfits and props you want to use in your photos, ahead of time. How can I be prepared to get what I want? Have a game plan. Things to think about before making that first call are: 1. Am I looking for a very traditional type of photo? Is it very posed and perfect? Or, is it more of a lifestyle shot of my child running and playing and being themselves? Be sure to let us know if there is something specific you are hoping to accomplish. 2. What do I want to do with these pictures? Is there a perfect empty wall in my home that needs a large print? Do I want a small album to put in the purse and show to friends? Am I looking for gifts for grandparents? When it comes to clothes, I love simplicity. A onesie or denim with a simple cotton top is beautiful. Try to pick a color that really goes beautifully with their eyes or skin tone. It will really enhance the images. Clothing with texture is also beautiful such as lace, corduroy, knits, etc. Their favorite toy or blanket makes great memories! If you have any cute accessories for them like a hat, beanie, necklace, favorite doll, or even sunglasses, that adds a really fun element to your photos. For newborn/child session; pull out a few blankets that have beautiful texture like white crochet, furry chocolate brown, or a color that compliments what they will be wearing. Another idea is to use tutus or a superhero capes to make a super fun session! There is nothing sweeter than capturing the magic of your child. More info, what should we wear? We like to photograph newborns in their natural state! A space heater to make sure they are nice and warm is provided. Hats and blankets with interesting textures and colors make for great portraits. We will also have a large selection of adorable accessories like bows, hats, outfits and wraps for you to choose. Parents of newborns should wear a solid color top. Also be prepared to do some skin on skin shots if you are up for it! For older babies, ages 3-9 months, we also like to do some photographs of them with a diaper cover on. For outfits, pale, neutral colors and simple patterns are beautiful. Children: For children, anything goes! We prefer to keep things simple to help keep your photographs looking timeless. Outfit changes are great too. We suggest a more neutral outfit with bold colors and let the kids have fun, bring out the tu-tu’s, petti skirts, fun hats, capes, and cowboy boots! Adults: Coordinate your outfits to your children but don’t match too much. Stick to solid colors and dress comfortably; We want to capture your natural style. Accessorize! Scarves, jewelry, shoes, etc… all make for fun photos! Props with babies and kids are great and available! Nothing too cheesy or unnatural of course! Just cute kid stuff you probably already have around your house. A big chunky necklace, favorite doll, a football or soccer ball, a few fresh cut flowers, sea shells, or even sunglasses. What is the best time for the shoot? Generally, we feel the morning usually wins for the best time of the day. It’s tough being little and after a long day sometimes the last thing they want is to have their picture taken! We like to begin after they have eaten and/or had a nap. As long as they are not hungry or sleepy, we can have a lot of fun with no meltdowns to slow us down! If they start to become fussy, it is always best to take a break and give them some comfort, then we can continue after they feel happy again. In studio or home is usually the environment where a child is most comfortable. Their nursery also makes for great memories. Making sure that everything is tidy and well lit by window light is also very helpful, but not necessary. Your backyard or a nearby park is also a great location, and the beach is of course an all time favorite. If we are shooting outside I just look for a nice shady area so the light is soft and more comfortable. What is the most important thing I can do? The most important tip is to just have a fun time with it! Your child will pick up on your mood and follow right along. If you make it all a fun game they will really have a great time and the photos will be beautiful. You’ll never hear us utter the words “say cheese”. Silveira’s Touch Photography are a master at editing! In fact, every image order gets an extra round of Photoshop retouching for things like fly-away hairs, blemishes, or shiny faces. Keeping the photography more documentary and true to the life is the best result. It will also mean that your images will stay timeless and not look trendy in a few years. A password to access the gallery will be provided to you within 2-3 weeks of session, which you can share with your friends and family. You’ll will have the leisure to order from your home, or in-studio appointment.